Good morning! I hope you’re having a great week so far. 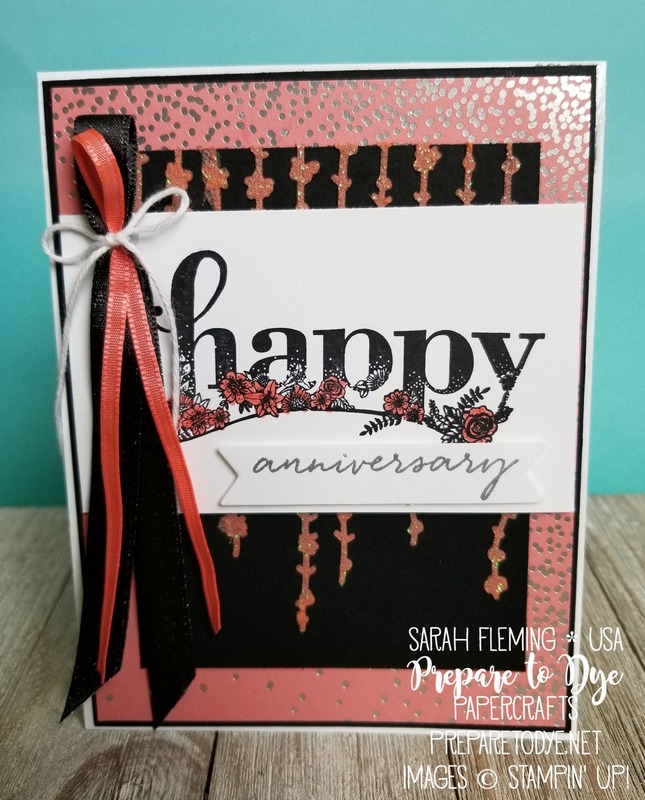 I’m honored to have been asked to join the Stamp, Ink, Paper design team as their Guest Designer for the month of February, and this is my last week as the guest designer. The challenge this week is to use ribbon on your card. I used two kinds of ribbon, plus twine. I’m just going to hit the high points of the card. The supply list is linked below, and I’m happy to answer any questions you may have. 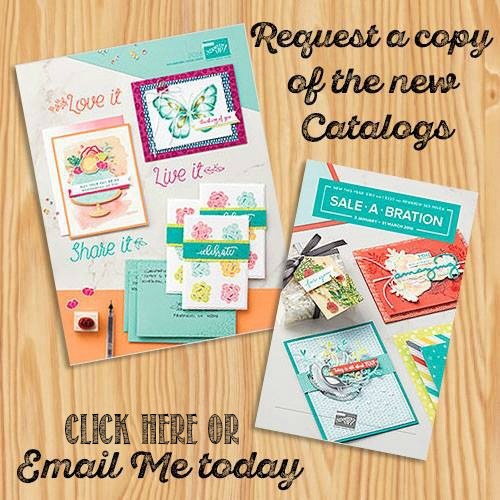 *That gorgeous silver-foiled paper is from the Sweet Soiree specialty designer series paper. I love it so much. *On the big Basic Black piece, I used the Shimmery White Embossing Paste with the Sweet Soiree decorative masks. I put a teaspoon or so of the embossing paste on my Silicone Craft Mat and added one drop of Calypso Coral re-inker, then mixed it all up with a Palette Knife, then spread it onto the card stock through the mask. *The ribbon is Basic Black 3/8″ Shimmer Ribbon, Calypso Coral 1/8″ Sheer Ribbon, and Whisper White Baker’s Twine. Thanks for stopping by! Make sure to head over to Stamp, Ink, Paper to see the rest of the design team’s creations. 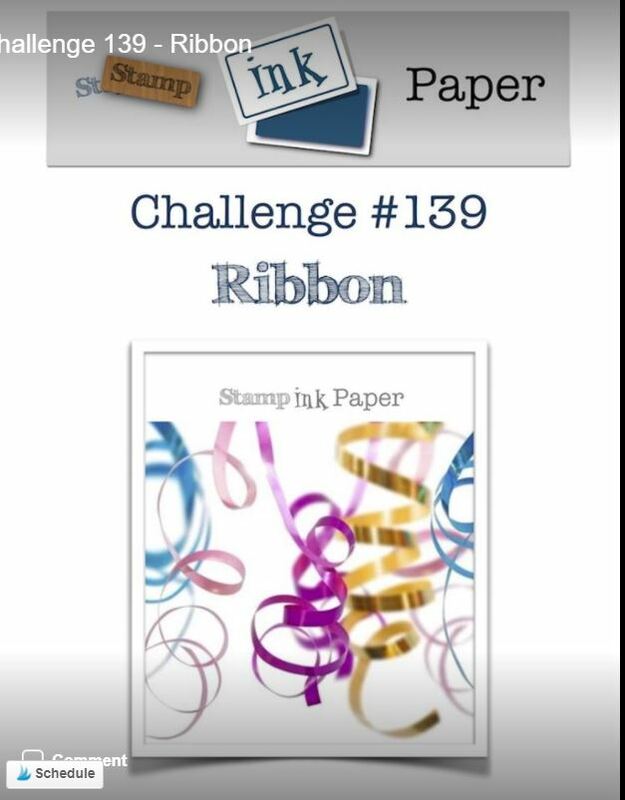 And if make a card where ribbon is featured, make sure to enter it into the gallery!